On Sunday, I photographed two lovely little Pittie-mix puppies who are currently up for adoption through Underdog ResQ. These two adorable girls are named Lucy and Esmerelda, and both were born in May of 2011. 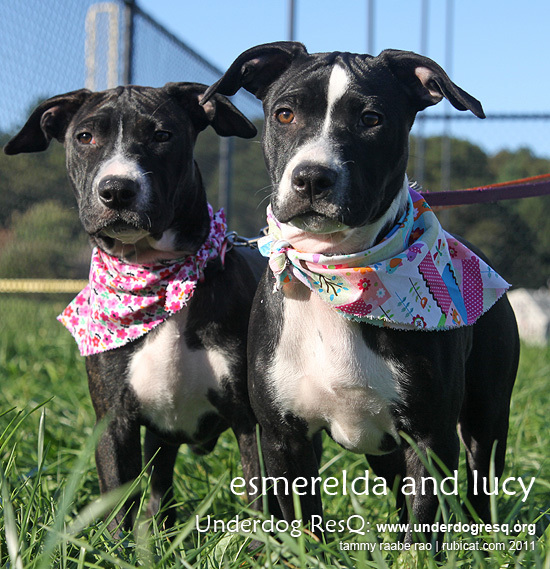 You can meet both Lucy and Esmerelda on Underdog’s “Available Dogs” pages. They are both currently on page 2 of 3. Become a fan of Underdog on Facebook.